The pro-sensor firing mechanism with viewing window as standard ensures you can visibly assess the status of your child’s lifejacket. This, together with the cylinder safe fitted as standard, illustrates safety as Seago’s first priority. 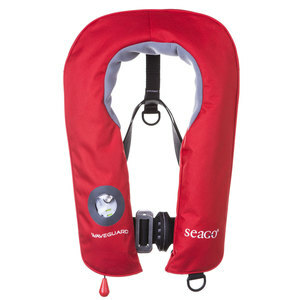 The lifejacket design features a neoprene collar to maximise comfort, with a high visibility lifejacket colour to ensure additional safety.